Sorry I didn’t come to the party. When a person is newly divorced Christmas isn’t the same and I just wanted to duck out and look after myself….. and Fizz….. and the birds. We didn’t have a bad Christmas though. But that picture doesn’t capture the cold or the howling wind. The wind is carrying the cold and it is bitter and nasty. I have found myself laughing out loud when I realise that Fizz is still expecting to go out. Once you get out it is not as bad as it looks. 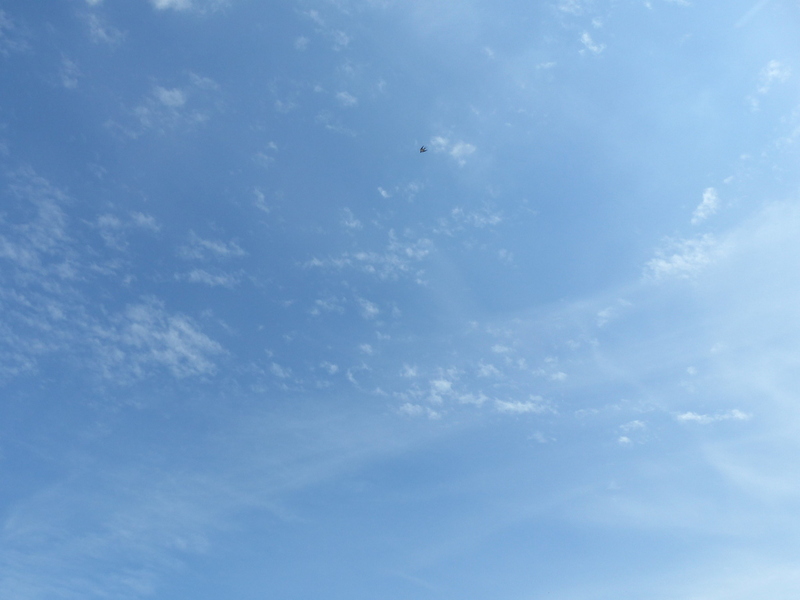 For Christmas day everything changed and amazingly we woke up to a clear blue sky and still air. Without the wind it was warm and beautiful, like a spring day. There are flowers about that don’t have a clue what month it is. But by and large the hedgerow gives away the season. 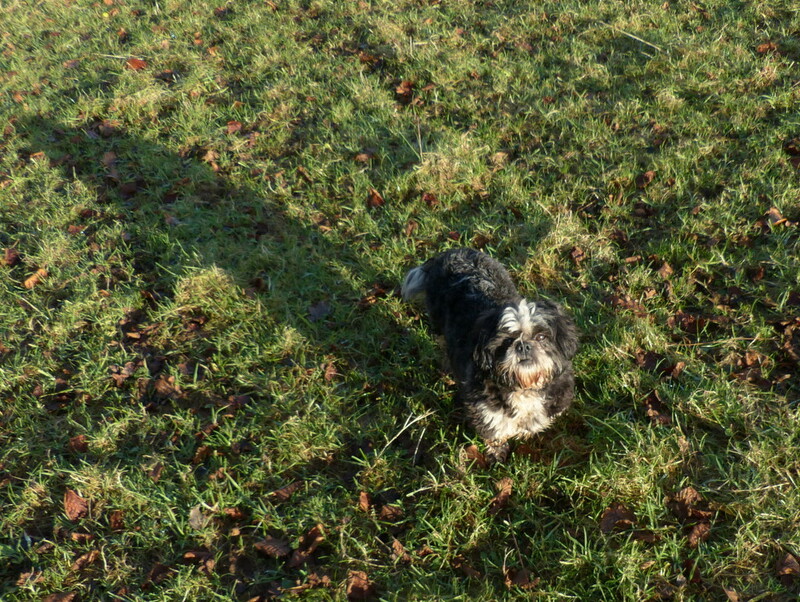 As do our long shadows at lunchtime. I had a very pleasant, quiet and relaxing Christmas. I spent a lot of time with Fizz, got my dinner for free and had a drink and watched some movies. So that is Christmas past, good! I so love the next bit. Like an excited kid I found myself going through all of last years photographs looking to see the first day that I saw each flower. I was new to the area last year and I didn’t know where to find each flower. 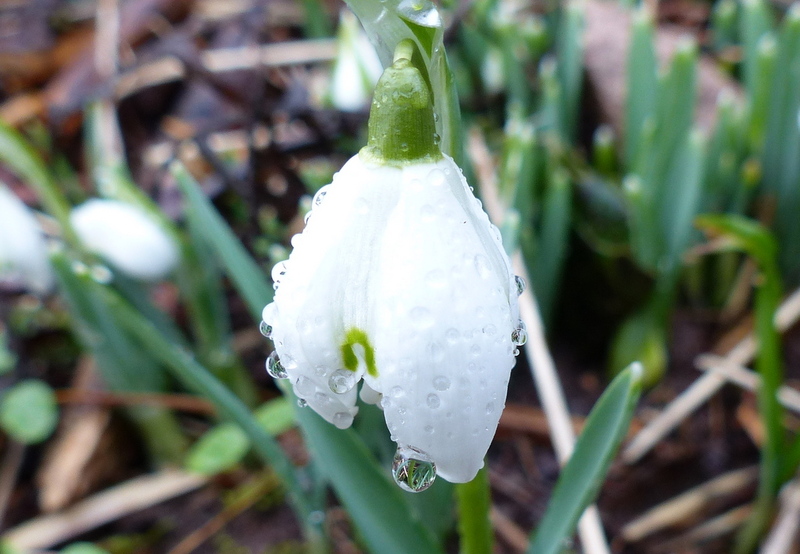 My first photograph of a Snowdrop in the wild was taken on January 28th But I bet that I can knock at least a week off that this year because I know where they grow. After that it starts going crazy and it is new flowers every day and in the second week of March the Butterflies are back. This is the thing that I love. The Swallows will be back in April, All sorts of birds will hatch in May. Badger cubs will poke their heads out of the sett for the very first time. Adders will be mating and oblivious to me and my camera. Of course he is crackers! But I get to help him look for these things and it takes us hours. When I was a kid, winter was cold, I mean really cold. 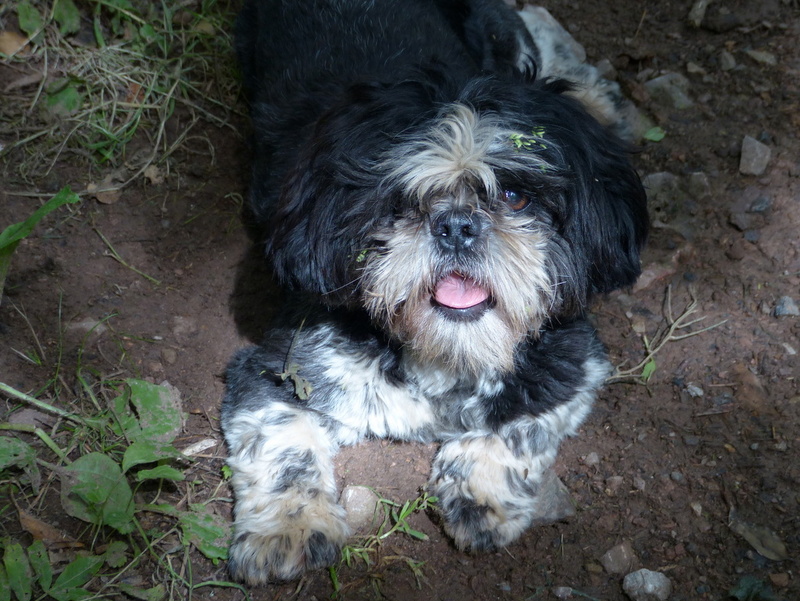 I can remember my dog Suzy getting out on bonfire night when I was about eleven and I was out in the pitch black trudging through snow up to my knees, calling for her and searching for hours. November was always a cold month. It is just not like that now but… Do our memories play tricks on us? Were summers really everlasting? Were winters really cold? 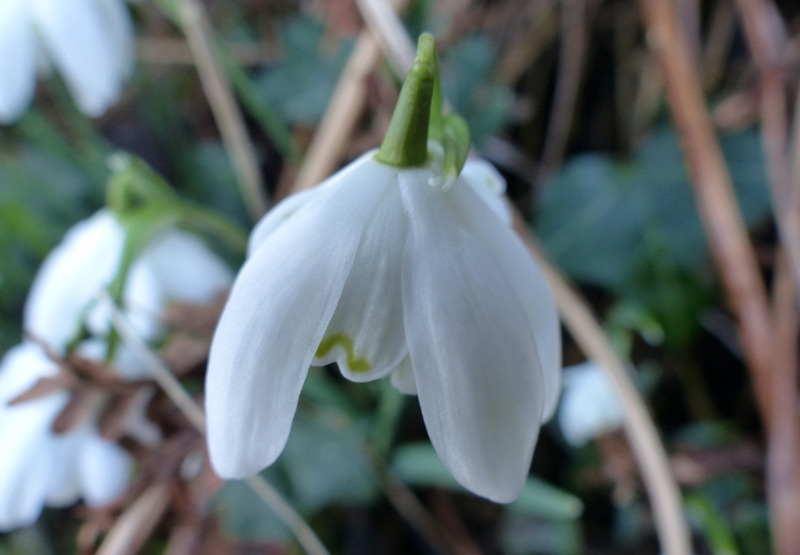 Yesterday I found myself writing about the Snowdrop and I turned up some interesting stuff from The Royal Botanic Gardens, Kew. 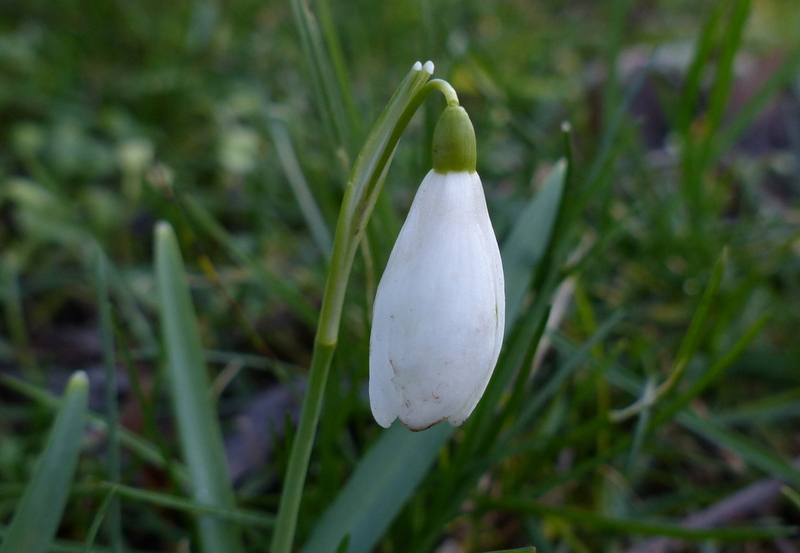 There are twenty species of Galanthus Snowdrops native to Europe, the last one only being identified in 2012. They all look very similar and are difficult to separate. 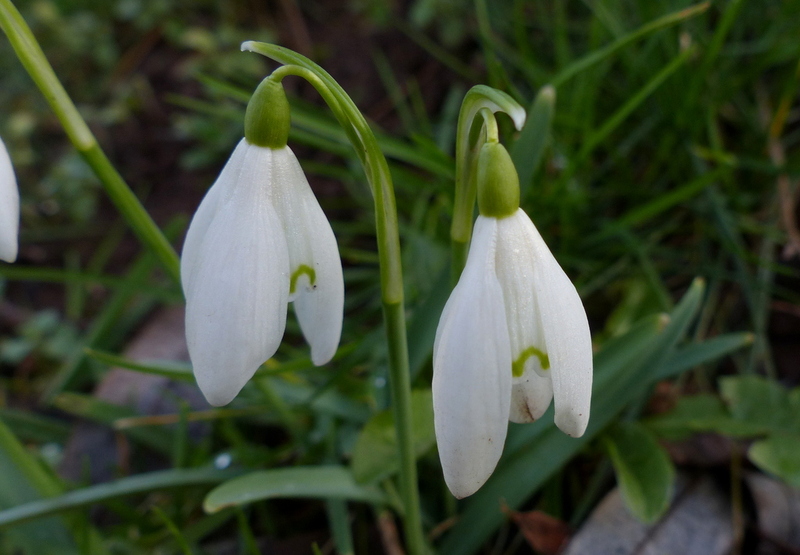 There are also many garden cultivars but by far the most widespread is the Common Snowdrop (Galanthus nivalis). Native to Europe it is “naturalised” in the UK, that means that it was introduced here, probably in the sixteenth century and is now generally considered to be native by most people. 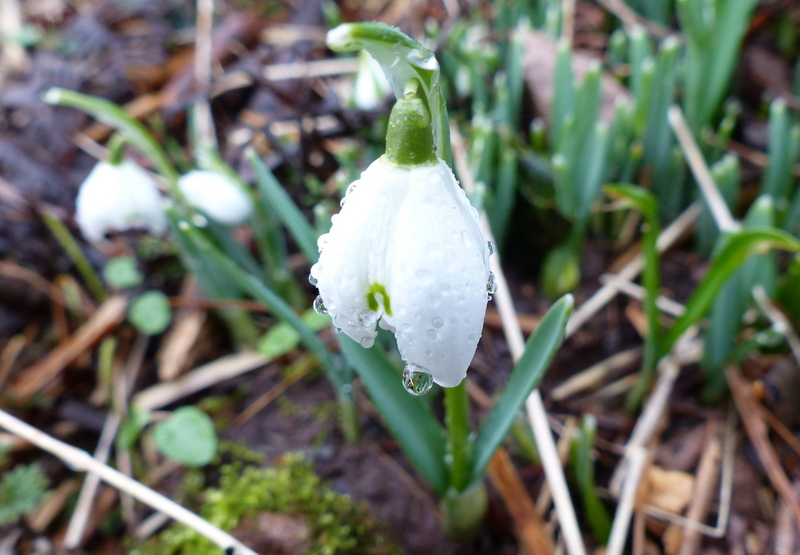 The French call this little flower perce-neige which literally translates as pierce-snow. 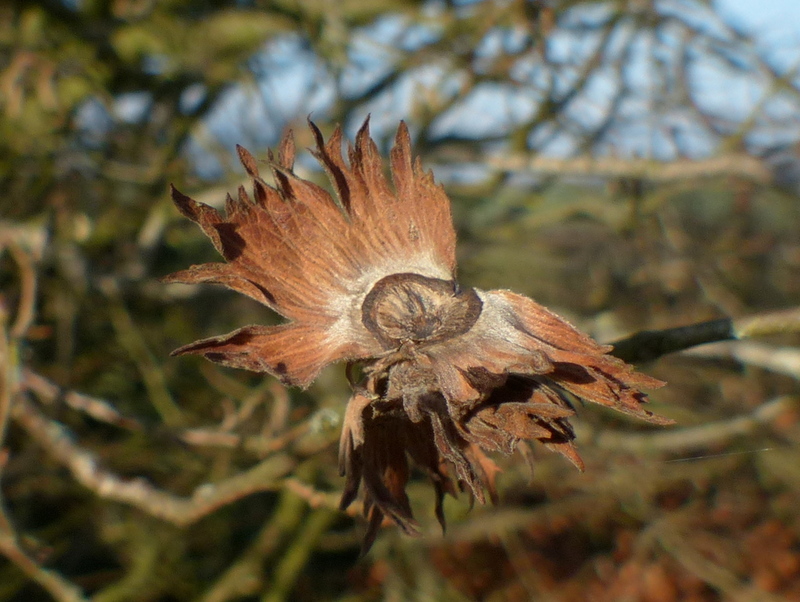 The tips of the leaves are hardened to allow them to break through snow and ice. 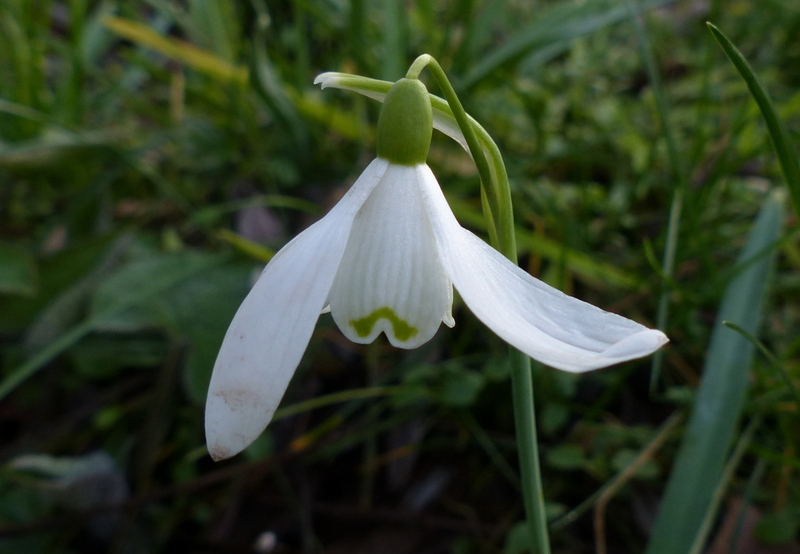 Kew Gardens have been monitoring the arrival of the first Snowdrops since the 1950’s and at that time Snowdrops opened late in February, by the 1990’s they were opening in January. 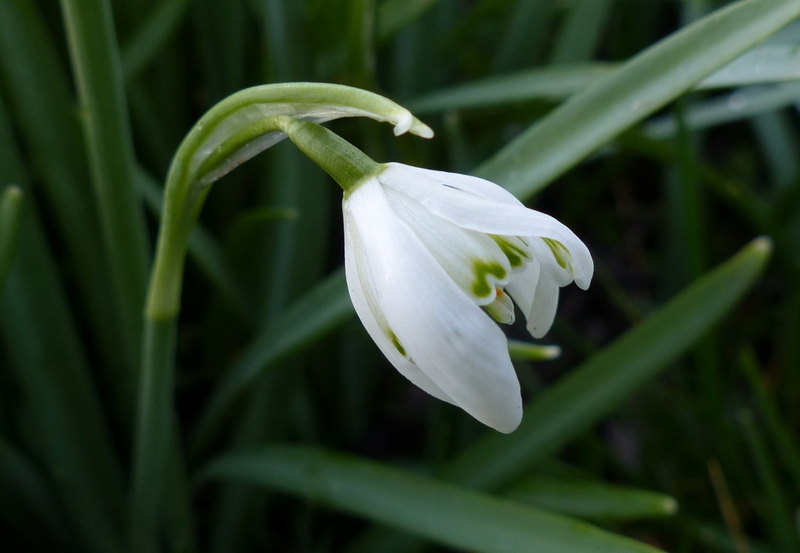 In 2014 Kew announced their first Snowdrops on December 5th. Winters really are warming up. 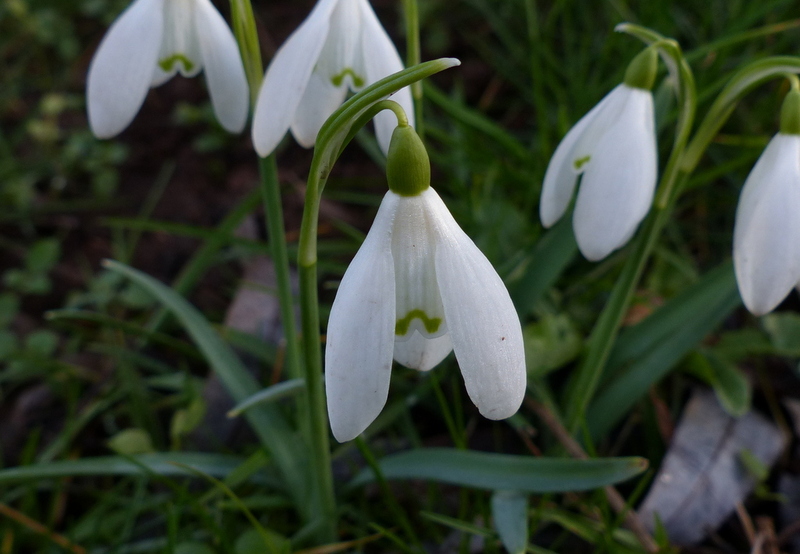 The Snowdrop has six petals, three outer and three inner. Technically these should be called tepals. Tepal is just a term used when you can not easily distinguish between the petals and the sepals (when they look the same). The inner petals have a small green mark that looks like a little bridge. 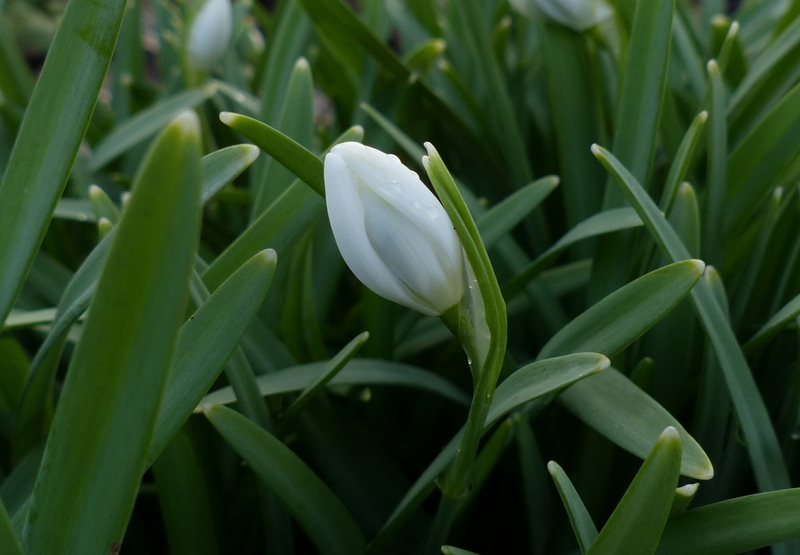 Each bulb generally produces two, long, thin (Snow piercing) leaves, It has a leafless flower stalk that carries a single flower and above the flower are two bracts, joined together by a papery membrane. The insides of the petals often have green markings. There are six stamens and a single style. The Snowdrop flowers very early in the year, when there are few pollinating insects around, as a result the plant usually spreads by bulb division rather than seed production, however they will last into March and do provide a very valuable source of nectar and pollen for early Bumblebees, Honeybees and other insects. They would be a good addition to any wildlife friendly garden. I will catch up with you all as soon as I can now, promise. Christmas day was glorious weather-wise, but I’m all up for a few ‘snow days’ in January… maybe even a week or 2… That’s just the committed kind of teacher I am 🙂 I hope you have a very Happy New Year looking to Christmas futures! Thanks Cathie 🙂 I hope that you get your snow and a nice extended break. I keep hearing that much of the country is under snow and airports are being closed but it is beach weather where I am. Fizz and I will work on our tans today. I know where to find whole bunches of wildflowers today that would make brilliant photographs in the snow but I can’t see it happening. Thank you for all your posts this year and I look forward to reading about all your rambles in 2015. Seasons greetings and best wishes! Thank you Justine 🙂 We wish you the very best for 2015 too. Your Christmas sounds splendid and so glad the weather gave you a break. 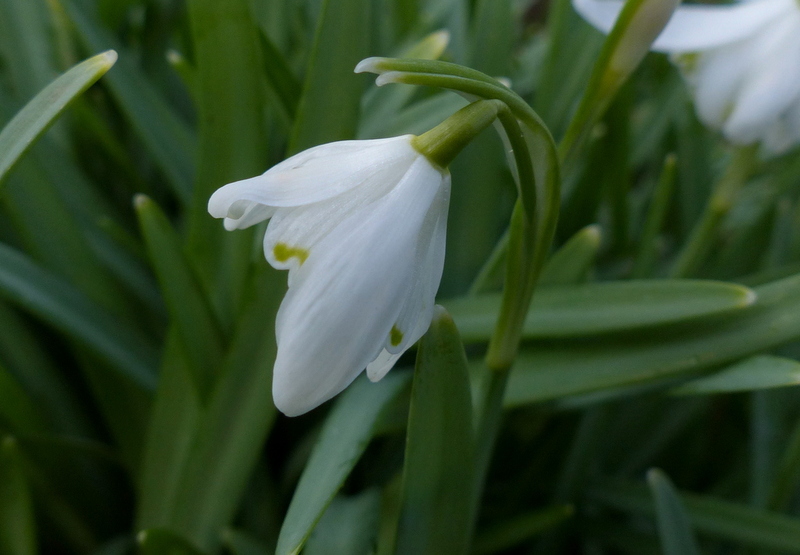 I was astounded by the Kew snowdrop dates. Yikes, pretty scary. 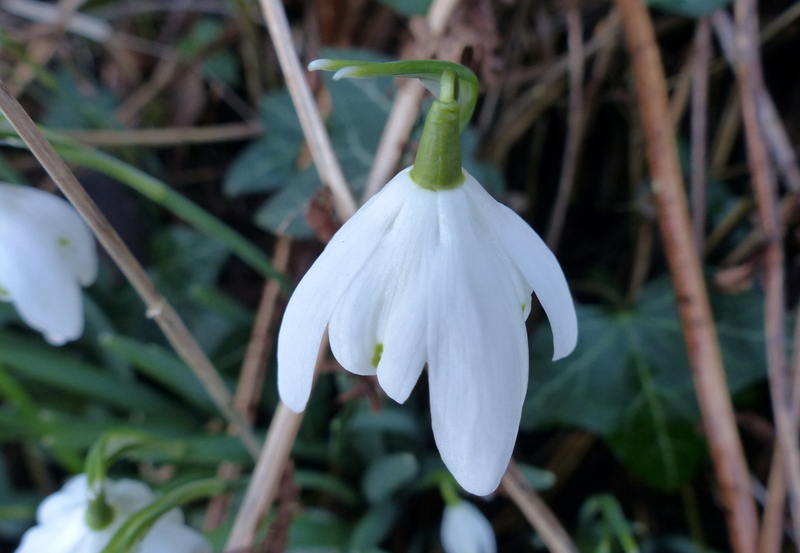 We won’t see snowdrops until March, but they have been coming earlier each year as well. We had forsythia breaking dormancy in Nov. due to a cooler than usual Aug.-Oct. then a warming trend brought them forth. We’ve been having spring-like temps. here the past few days. Crazy weather everywhere. 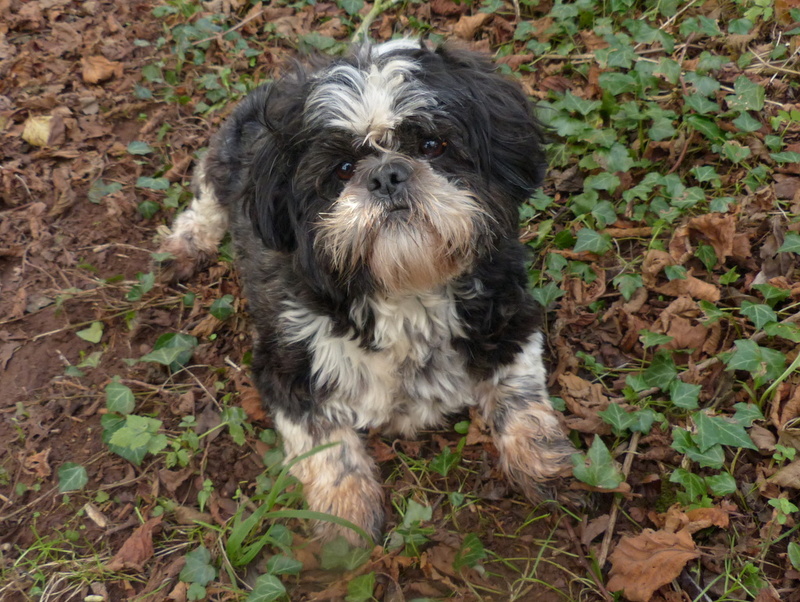 Hugs to Fizz. Thanks Eliza 🙂 It does look pretty cold up there in Massachusetts by March we will be well into our spring with all sorts of things in flower. It has been a really and truly great year waiting each day for your next post. And none is ever boring or repetitive Come the new year!!. Thank you John 🙂 Thanks for your support and friendship and the education too. I love the list of the days of the months when the flowers arrived. That cheered me enormously. Thank you Susanne 🙂 I enjoyed going through last years pictures to see when I took my first photographs but I am hoping to bring that list forward in the new year. Love the way you record first sightings. I hope the New Year will be a happy one for you and Fizz. Thank you Maureen 🙂 We wish you the very best for the new year too. You provided your readers with endless days of info and entertainment, and thank you for doing that. Happy New Year to you and Fizz. I hope there are lots of good flowers, fungus, critters, good food and more whiskey. 🙂 And lots of Fizz, of course. Thank you Sarasin 🙂 Happy New Year. We are really looking forward to finding lots of new species and new discoveries in 2015. Thank you Jane 🙂 I expect that the last thing that you need out there is warming up. Australia seems to me to be such a vulnerable place in terms of change as if it wasn’t expecting people to come along and bring new things with them. I enjoy learning about it and have a few friends out there now. Happy New Year to you and yours. We had a beautiful Christmas Day weather-wise too. Not too hot and not too cold. I prefer my own company at Christmas (in fact, any time), but had a couple of family members, one of whom bought a new friend and she was one of most delightful people I’ve ever met. I delegated people to bring food (as well as my own small efforts), but to be honest I’m too much of a recluse to really enjoy lively conversation and don’t have the interest or energy to cook much these days. I do so love eating though. Good fresh food, properly cooked. 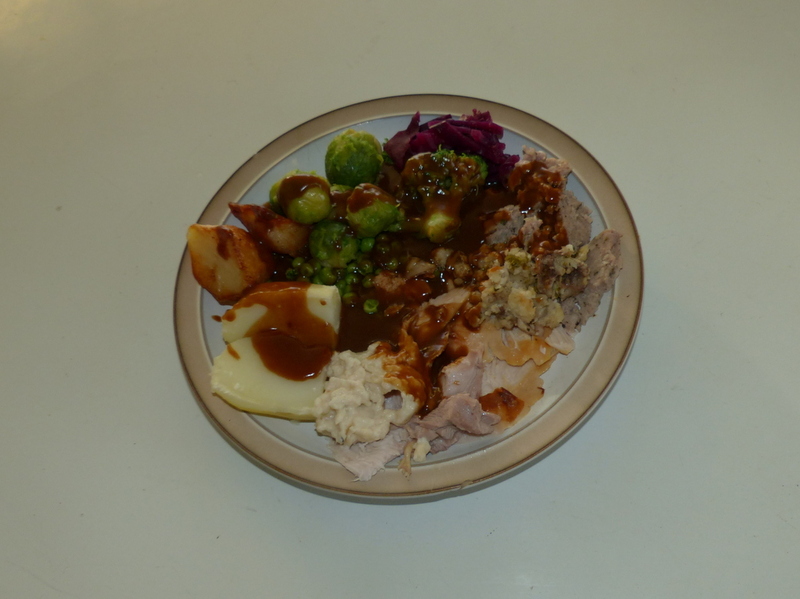 Glad to hear your kindly neighbour ensured you had a Christmas Dinner plate. I wonder if some of us are born comfortable with our own company. We enjoy occasional chats with kindred spirits, but generally, we like to explore the outdoors or curl up with a movie or good book on our own. I treated myself to an Amazon package of several books on Solitude and on Nature and have read one already! It’s not often I read a book so quickly these days, but it was a slim volume. What is the flower in the 3rd image please? I believe I have a photo of a similar flower and can’t find it’s name. Thanks Vicki 🙂 I am at a stage in my life where I am really enjoying being alone. It is so easy and there is no one to please but myself, there are never any arguments and I have friends all around if I want to talk. I had the laziest Christmas ever and I only had to wash up one plate. It is a bit selfish I know and I do feel guilty sometimes. 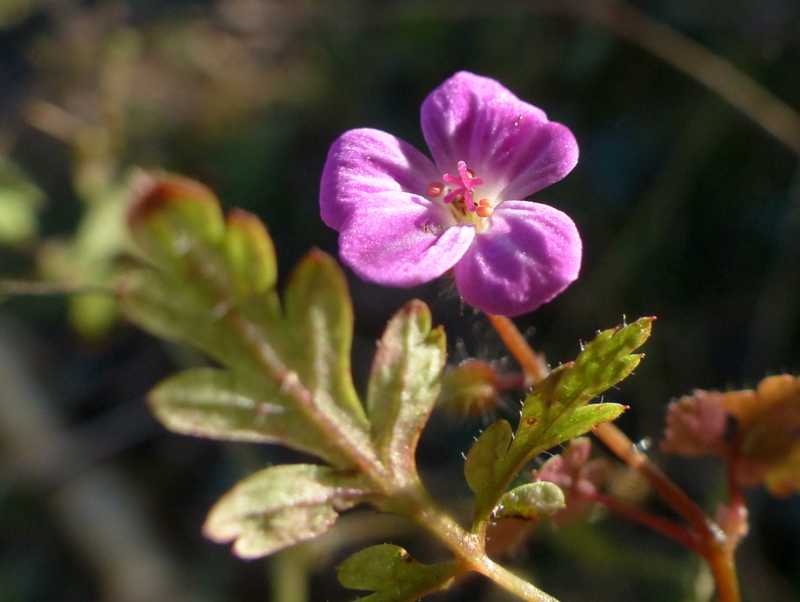 The little pink flower is on EW find it here, Herb Robert. It is a cranesbill geranium and there are a few that look like this, plus because you are in Australia I don’t really know what other species you would have around. 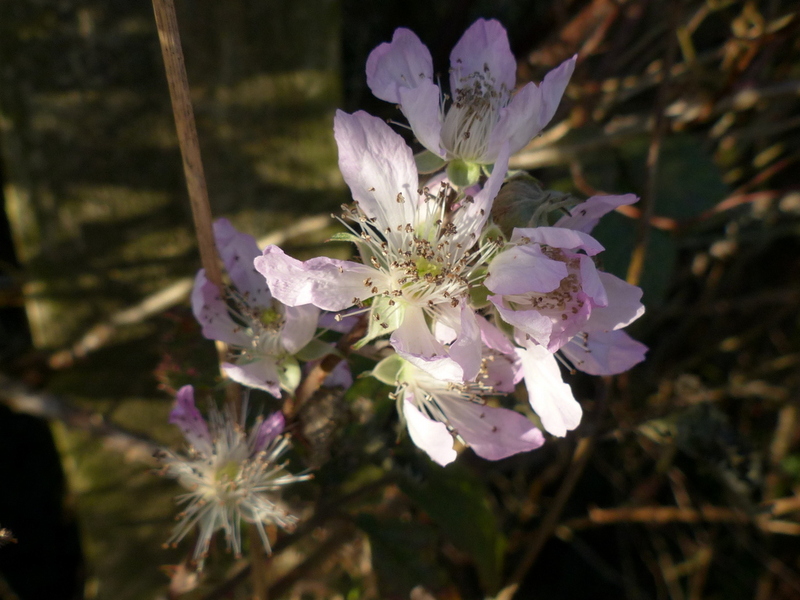 I have other small pink cranesbills to put on there but I have started working in the order that the flowers will appear, hoping that by the time people find it in the field it will be on my blog. A little phenology never hurt anybody Colin. I go by the birds. Sometimes a species here can be almost abundant in winter and other times we get very few – i haven’t seen a Red-flanked Bluetail yet!! I don’t think we well understand climate change yet. Itbis happening for sure but we need longer trends to see what might lie ahead. Simple extrapolation rarely works. If we all switched to electric cars in 20 years surely the reduction of emissions would have a beneficial impact? I spent Christmas Day in bed on doctor’s orders but I’m up again now. Lulu wishes Fizz a verry happy new year. Christmas is a difficult time of year for many people especially the newly divorced and bereaved. I remember my first one after my first husband left. Things do improve as time goes by. 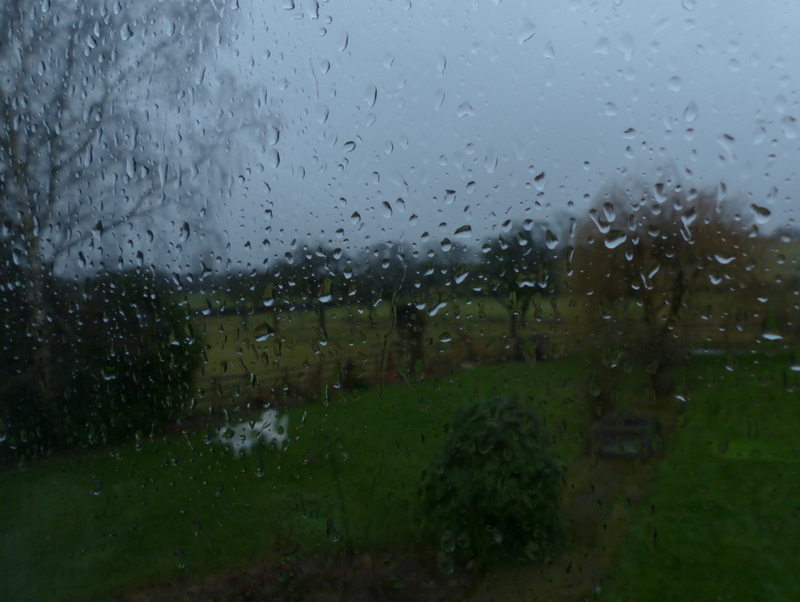 A lovely post as always and I agree – once you get out into the bad weather it often isn’t as bad as it seemed when you were indoors looking out. Thanks Clare 🙂 Christmas wasn’t too difficult for me, I just ignored it and got on. For me the celebration and excitement all relate to the coming year. Take care of yourself and have a nice New Year! Thank you so much 🙂 You have a good one too. I also had a quiet Christmas which is just how I prefer them. It seems our weather was a little better than yours, but you seem to have more flowers, although it may have more to do with me not knowing where to look. That’s why I enjoy tagging along with you and Fizz on your little meanderings, it’s teaching me how to find the spots these little beggars like to hide in. Sometimes after I read one of your posts, I head out to one of the local green-spaces in town, and see what kind of flowers, or fungi, or whatever I can turn up, and I’m actually having some luck doing it this way, although the things I find are somewhat different than what you find, but I guess that’s because I’m here on the West Coast of Canada, and you’re way over there. Oh well, maybe I’ll send you some pictures. For now, have a great day, and thanks again. Thank you David 🙂 It is all about knowing where to look. Last year most of the flowers were in full bloom by the time that I found them so I am hoping to see them much earlier this year. Many of the flowers that I found last year are only growing in one area and I expect that I missed a lot by not being in the right place at the right time. That is okay it just means that there is more to discover this year. Actually, I was thinking our climates should be quite similar, and especially now that we’re seeing the evidence of warming trends here also. One of the most beautiful glaciers that I could see every day from down here in the city, finally melted completely away for the first time in known history just about three years ago, and I already miss it something fierce. Things sure are changing rapidly. Thanks Barrie 🙂 I can’t really complain as I am choosing to be alone this year. I know that it is a very difficult time for the many people who didn’t have choice and my heart goes out to them. Global warming – you make it sound plausible, but all the scientists are working off fairly recent data. They love to pontificate with dates going back millions of years, but we could be going through a natural cycle and have had hot and cold spells that last decades in former times. Still your few words do more to illustrate what’s going on now than any article in the papers. Thank you Stephen 🙂 Yes it might just be a natural cycle but winters seem to be getting stupidly warm to me. 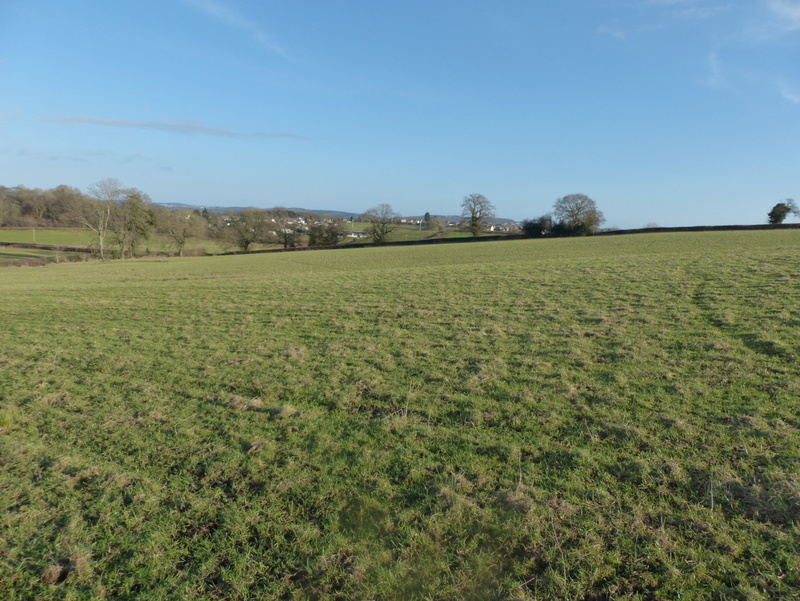 Today the sun is shining here and there is no wind, it is going to be another cracking day, I am not complaining, I like global warming but that is a bit selfish. We should probably put the forests back and stop burning everything we find but we won’t. Thank you Colin. 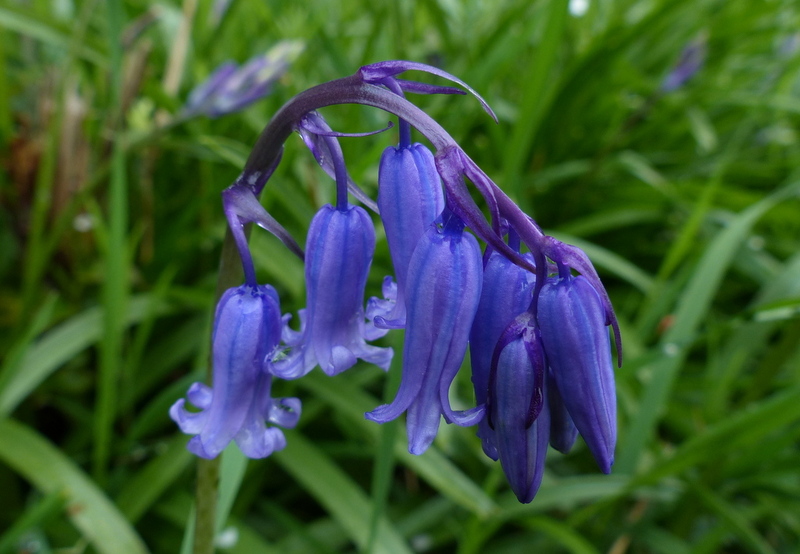 As a beekeeper I find the list of flowering times helpful and have saved it on Evernote for myself. I’m in Cornwall at the moment and daffodil shoots are around here! Glad you had a good Christmas dinner and sunshine. Last winter was incredibly brutal here. This year, I’m not quite sure the ground has even frozen through yet. I’m not entirely certain I couldn’t have planted spring bulbs over the weekend. I don’t like it. I wanted a white Christmas, but more than that, it’s an odd winter without any real snow yet. We may get some real snow this weekend, and I’m sure we won’t make it through the winter without some snow storms, but still, it feels odd at present. Thanks Joey 🙂 Snow is quite a rarity here now and I wouldn’t be surprised to go the whole winter without seeing any. It is a pity and I miss it. Beautiful photographs. I’m happy you had a nice Christmas, in spite of the things that are going on. A new year is on the horizon, hope yours is filled with sweet and beautiful things. 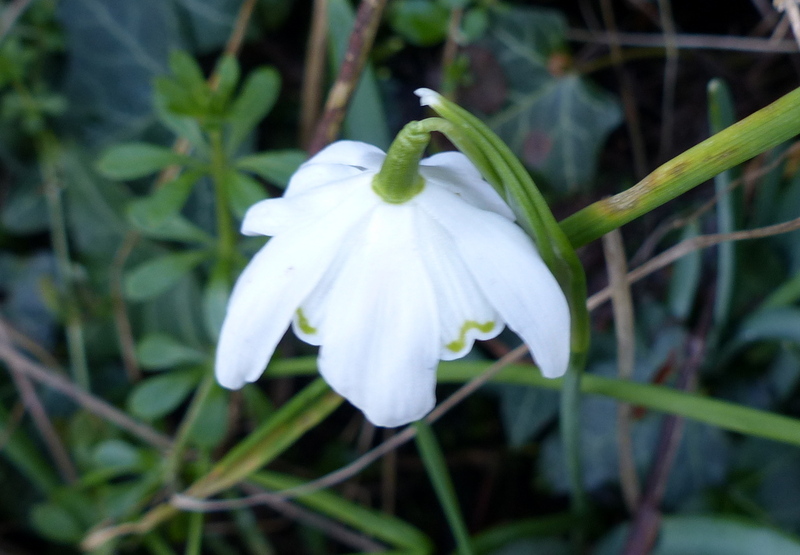 All I want for Christmas is snowdrops! The ice encrusted snowdrop is my faviourite photo from this blog, it is a classic. Glad your Christmas was calm and bright. You weren’t quite alone as you had Fizz, and neighbours, and cyberfriends. But sometimes being alone is what the soul needs and can be preferable to insincere contrivances, it is healthy and necessary. Looking forward to your continued excellent blogs in 2015. Happy New Year. Thank you Stephanie 🙂 I hope to bring you snowdrops very soon now. 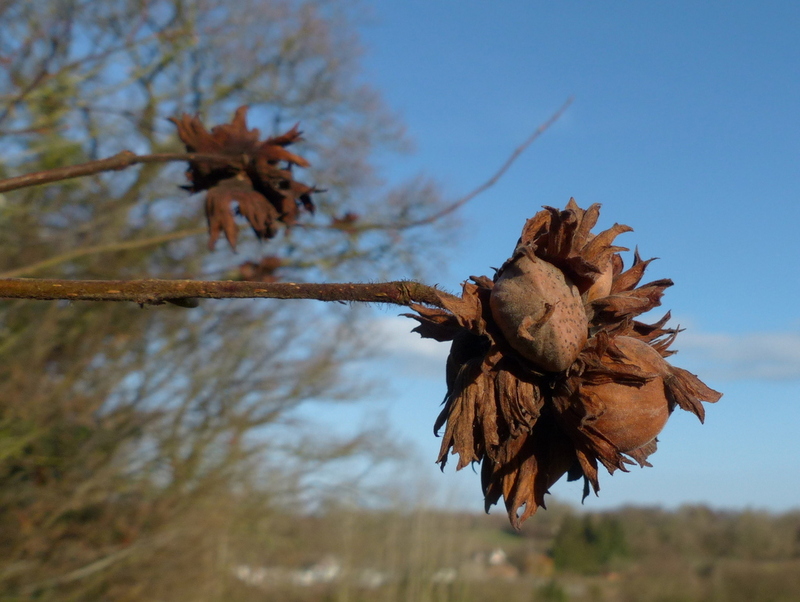 I feel quite excited with you at the thought of all that will unfurl in front of you in 2015 …. I hope there are a few surprises there as well. Have a great year! Thank you Jacqui 🙂 I know that there are going to be surprises and I am very excited.